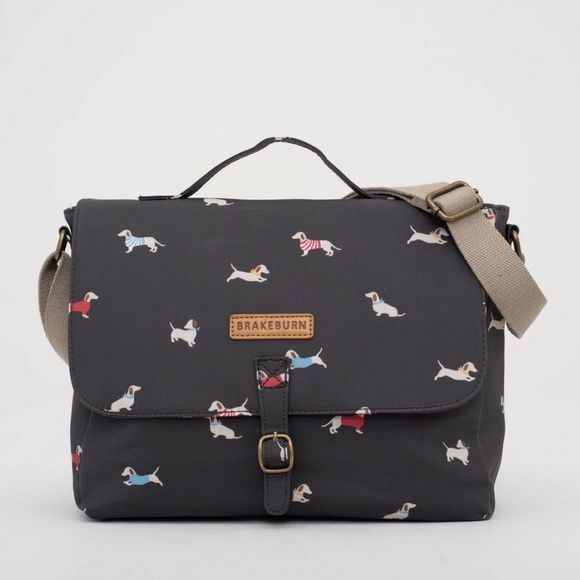 The Womens Sausage Dog Satchel Bag from Brakeburn is a timeless piece that every women should have in her wardrobe. 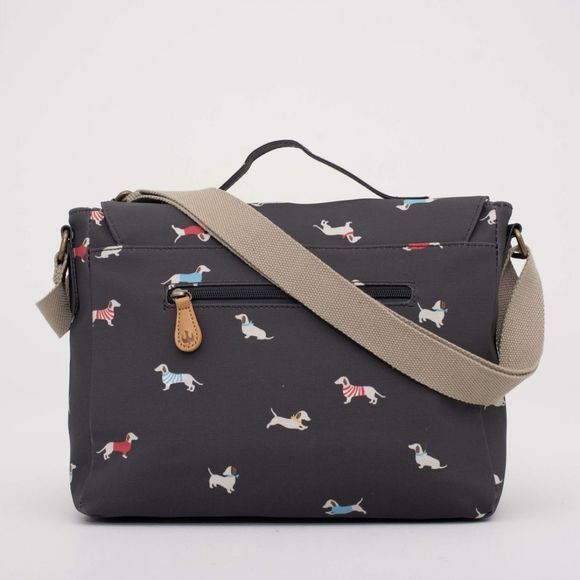 Big enough to fit a lap top in and with a handle or cross body strap it can be worn in different ways. Our ever popular hand drawn sausage dog is wrapped up warm with winter coats and hats in contrasting colours.